Over the years trends in office doors have changed. Gone are the days of offices featuring dated joinery works, with doors looking mass produced or of a low quality. Office interiors have moved on. The doors we are now seeing feature strong grains from the wood and are natural in their appearance. As the office doors are natural product each door we install is unique and differs from the next. 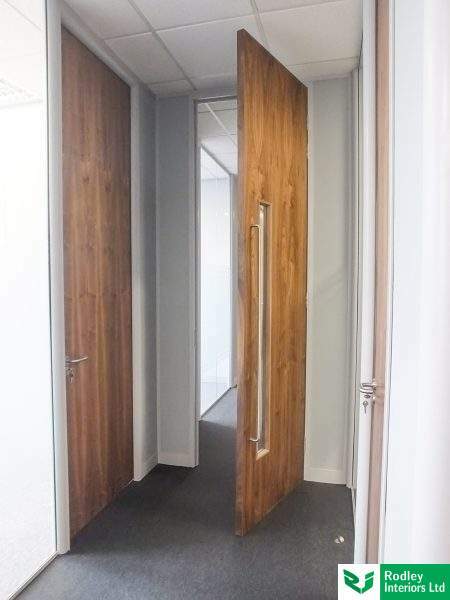 When the doors are installed in a long run such as on our latest fit out and refurbishment project within Leeds, West Yorkshire they are striking and add instant appeal. We install many different doors in a range of finishes. Our most popluar doors are full height and are manufactured to fit from the floor level right up to the ceiling level. Oak doors with the cross grain of wood horizontal are a popular feature in todays in modern offices along with deep Walnut doors. Other popular doors include white laminate, for a matt and smooth finish to complement white office partitioning and interiors. 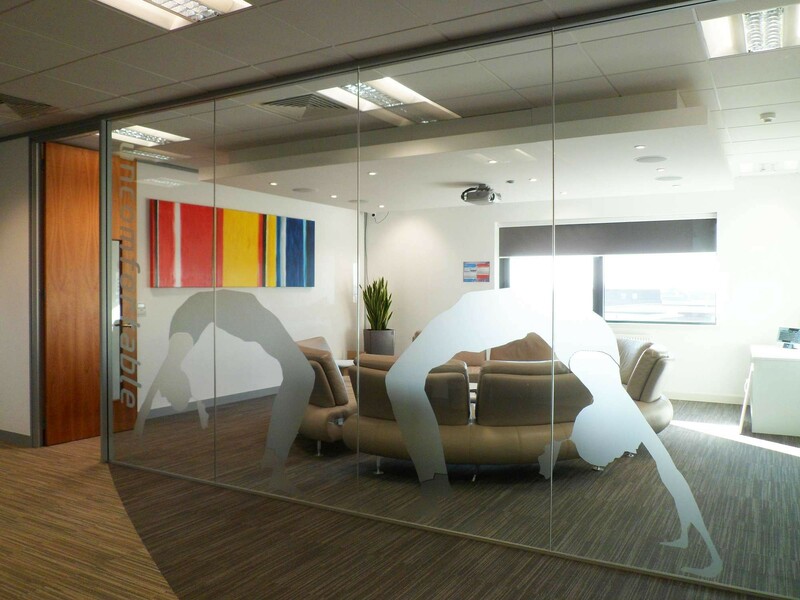 Take a look at our range of office doors we can install within your new office partitioning.